January 2012 magazines start pouring in. 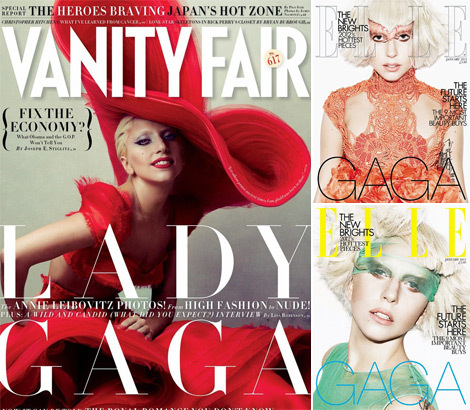 Vanity Fair January 2012 with Lady Gaga on the cover is pretty Christmas-y and pretty impressive at the same time. It’s Annie Leibovitz’s work, it should be a masterpiece! 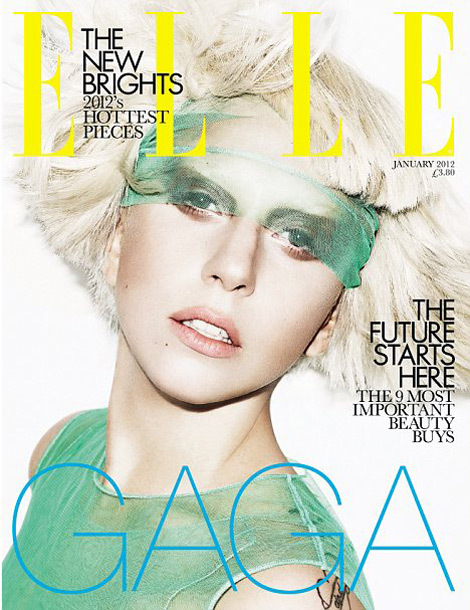 So January 2012 starts with one of the biggest stars the world has to offer right now: Lady Gaga. Fashion Magazines swoon around her, comme d’habitude, wagging their stylish tails to have her on their covers and portray her unusual Lady-ness. No objection there. However, I have to ask if I’m the only one getting tired of Lady Gaga? Okay granted the Vanity Fair cover is great & rather glamorous but it looks very Christmas-ish for a January issue. 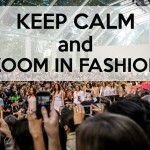 …..and just be singer/songwriter. Not a singer who’s a product of marketing to grab fast lots of money. I 100% agree with what you said DollyBird. I have had a hard to watch her latest video Marry The Night (yes, that’s the title?). Gosh, 13,5 minutes long….Everything was stolen, again, and the song is nothing special at all. Not even a bit catchy as her first songs were.